This small coin wallet features a snap closure, full grain veg & matching stitch. Interior is unlined. Can also hold metrocards . 4" x 2 7/8" x 1/8"
Custom colors are available. See below chart showing available colors to request. **NOTE** Any color not listed in our already available colors will take an extra 8 days to ship. 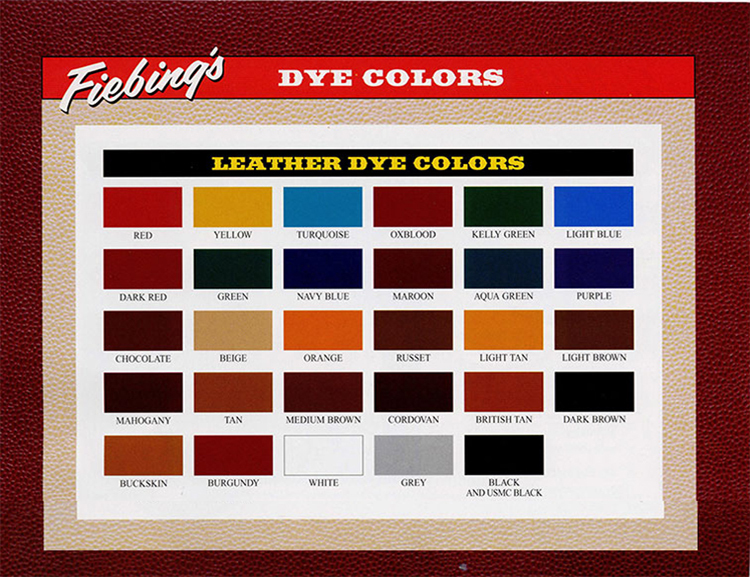 Please also note that colors shown in the Fiebings chart will vary from the swatch shown. Leather takes dye differently and can be darker than shown. Click the button below to add the Leather Coin Pouch to your wish list.